Research that focuses on the manipulation of small amounts of liquid is an expanding field of study. This avenue of study is promoting the growth and development of new technologies that require less chemicals and physical space while offering faster analyses or processes. Already, advancements in lab-on-chip devices, fuel cell design for energy-efficient vehicles, and liver function testing have been discovered. "Advancing Microfluidics Research Using High-Speed Cameras"
"High-Speed Imaging in Biomedical Microfluidic Applications"
Why High-speed Cameras for Microfluidics? The most prominent reason a high-speed camera is necessary for microfluidic study is the time-scale of events. As subject size decreases the rate at which the microscopic elements move increases drastically. A standard camera is unable to capture the rapid movements adequately rendering the recorded data unusable. Phantom high-speed cameras, in microfluidics research, allow scientists to capture images at a speed high enough to result in the ability to see the fluid’s course of action. Our Ultrahigh-speed cameras can reach up to 1,000,000 FPS (frames per second), depending on the desired resolution, providing more than enough speed and power to perform any microfluidics experiment. Another extremely critical reason for high-speed camera use in microfluidics is the need to pull strong, informative data from the images. This is only possible when the speed and image quality are both working together. 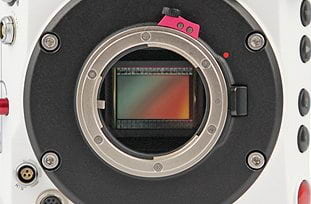 A camera sensor’s light sensitivity, dynamic range, and noise level all contribute to the image quality and ultimately to the ability to analyze and perform measurements on the image. ‘Phantom Image Quality’ is Vision Research’s careful attention to these and other sensor characteristics. The high quality images ensure that your data will be information you can truly trust because of the superior visibility. The results are sharp, highly-contrasted images recorded on a top-of-the-line CMOS sensor at speeds that allow researchers to distinguish the most relevant details one frame at a time. High-speed cameras have the ability to capture massive amounts of data which in turn must be analyzed. Synchronization and acquisition affect how easily that data can be documented in unique scenarios, such as small-scale PIV. Special software can be utilized to work with the images created by the camera. This software allows researchers to analyze information at record speeds by simultaneously accessing the data, processing images, analyzing measurements, and transferring data to storage. Phantom cameras come with their own proprietary software that is built around scientific needs. 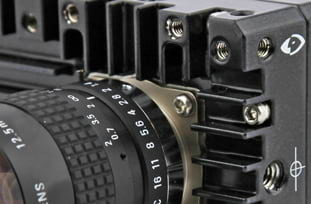 They also come with on-camera data solutions that will significantly improve data transfer speeds. The Phantom VEO4K 990S delivers 4K imaging to microfluidics research. The extremely detailed 4K resolution can track fine details clearly to enhance exact measurements capabilities. 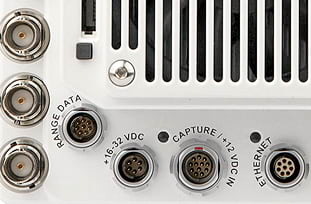 The VEO body is compact allowing it to fit easily into complicated laboratory setups. 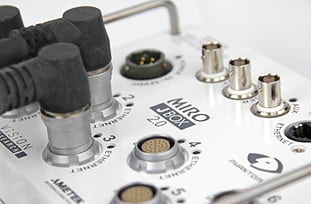 The Phantom Miro LAB341 has simple connections, interchangeable lens mounts, and a light-weight body built to work in a laboratory setting. With a 4 Mpx sensor fine microfluidic details are highly visible for data collection. The Phantom v1840 utilizes bright field mode and the world's most powerful 4 Mpx sensor to make brightly lit microfluidic applications successful. Data management via the on-board CineMag ensures image security. 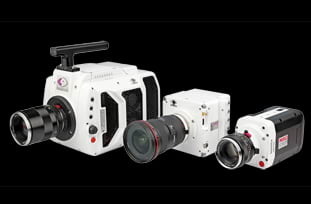 The Phantom Miro C210 is a small but powerful high-speed camera. The lightweight construction and c-mount lens mount make it ideal for small in-lab microfluidics research. 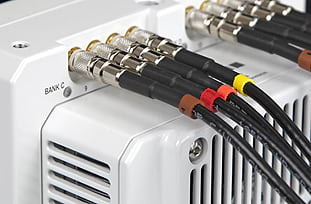 Simple connections allow for quick set-up and movement when needed.